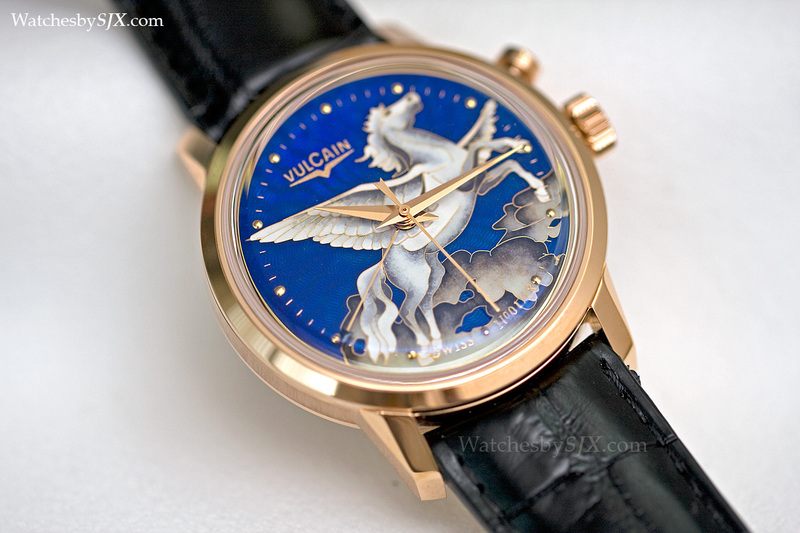 Recently unveiled at Baselworld 2014, the Vulcain Cricket 50s Presidents’ Pegasus combines the brand’s trademark alarm function with a fine cloisonné enamel dial depicting a winged stallion amongst the clouds. Vulcain is synonymous with the Cricket, a loud and insistent alarm wristwatch it invented in 1947. Having earned the moniker “the presidents’ watch” because it was worn by several American presidents in the fifties and sixties, the Cricket was presented with a cloisonné enamel dial at Baselworld 2014. 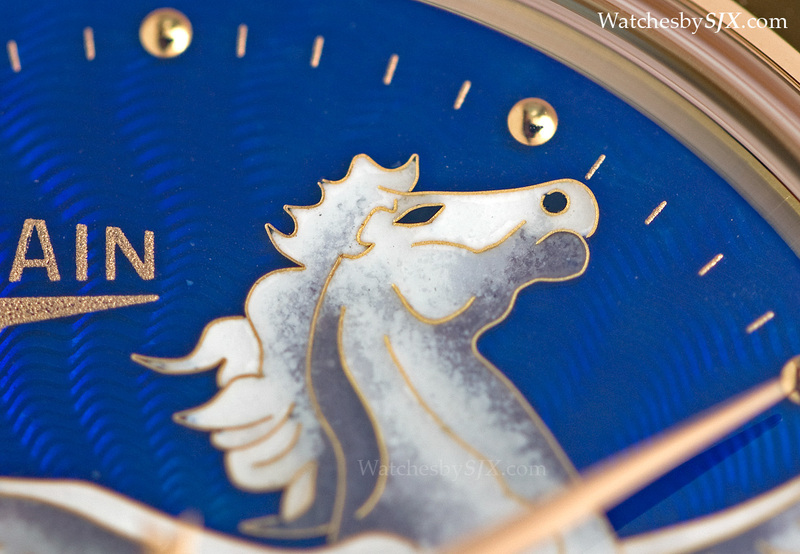 Made by Donzé Cadrans, the Cricket Pegasus amongst the most elaborately decorative alarm watches on the market. Dial maker Donzé Cadrans specialises in enamel dials and is one of the few specialists able to make consistently high quality enamel dials in reasonably large quantities. 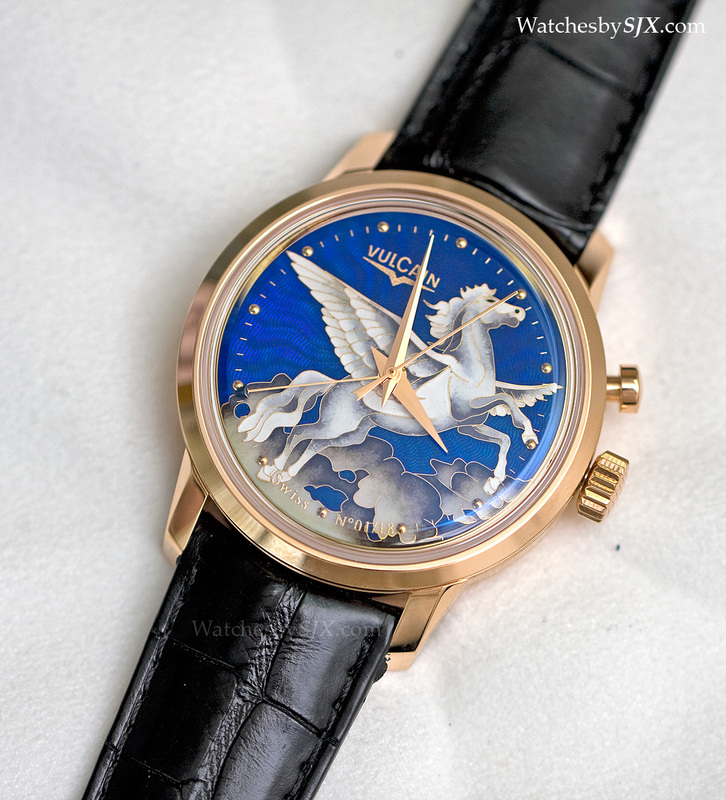 The Pegasus and clouds are created using cloisonné enamelling, with fine gold wires measuring just 0.07 mm wide soldered to the dial to create tiny cells, which are then filled with enamel, forming the motif. 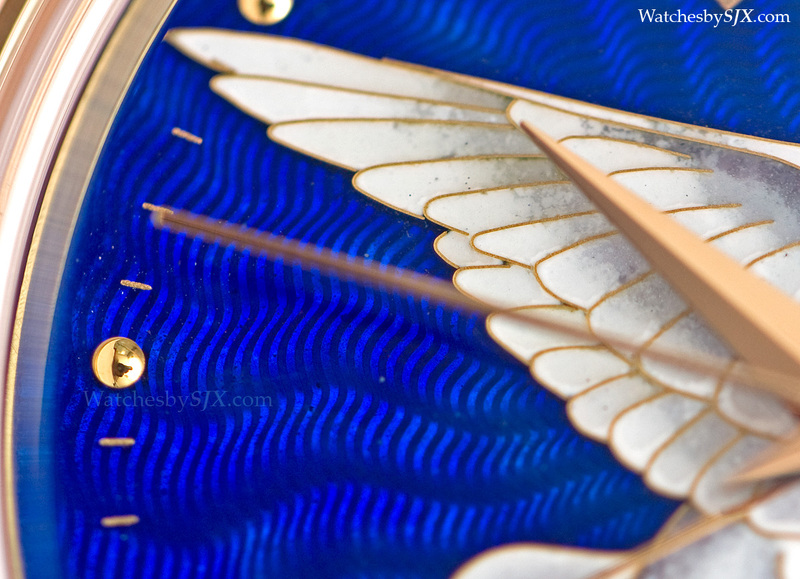 Rich blue flinqué enamel forms the background, made of translucent enamel applied over a guilloche dial base. 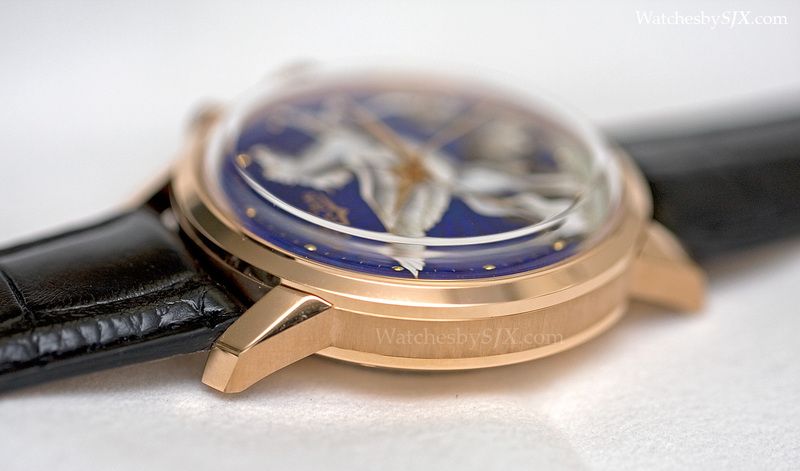 Because each section of the dial is painted and then fired, several firings are required before it is complete. 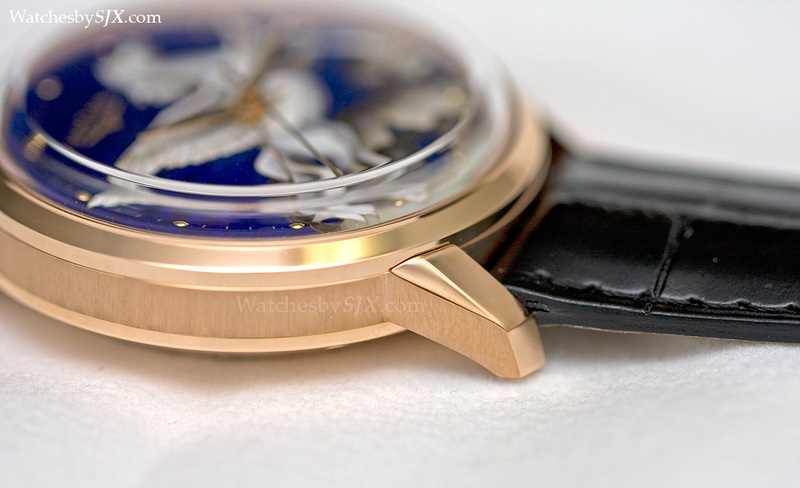 Once finished the dial is polished to give it a smooth and glossy finish. 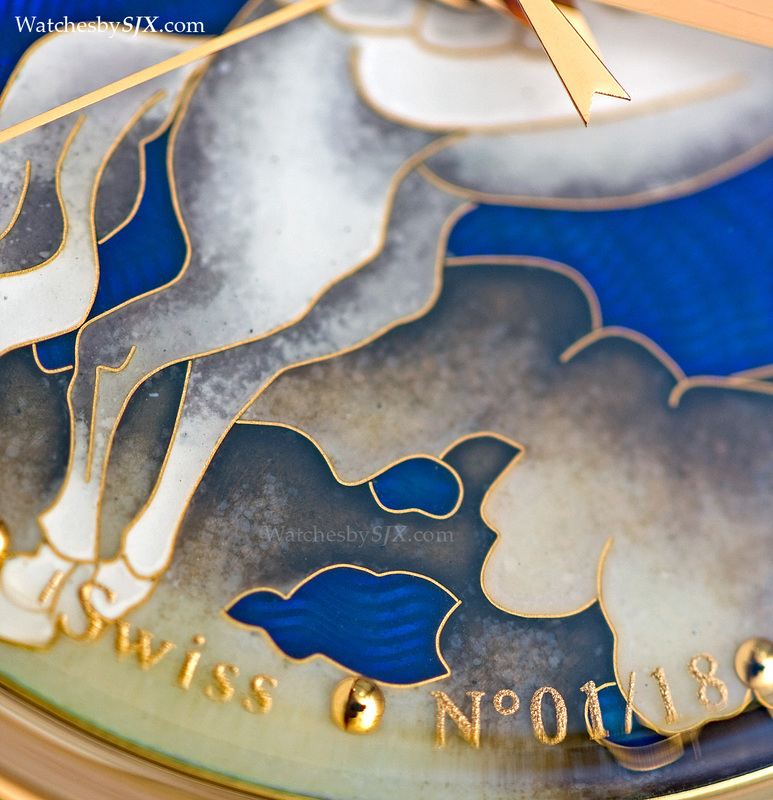 The dial is well made and intricately detailed, with minimal imperfections that are unavoidable in enamel dial. This particular case type is known as the Cricket 50s Presidents’ because it is modelled on the wristwatches worn by presidents Truman, Eisenhower and Johnson. Styled like a gentleman’s watch of the mid-twentieth century, it also features a domed sapphire crystal which completes the vintage look. 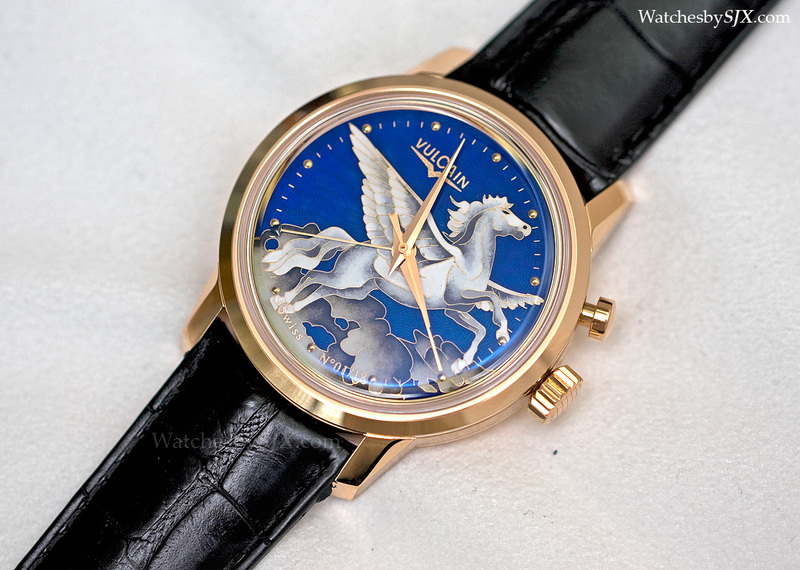 But like all other vintage-inspired timepieces, the Pegasus has a larger case than its inspiration, measuring 42 mm in diameter. Visible through the display back, which has the Vulcain “V” across the crystal, is the calibre V-20. 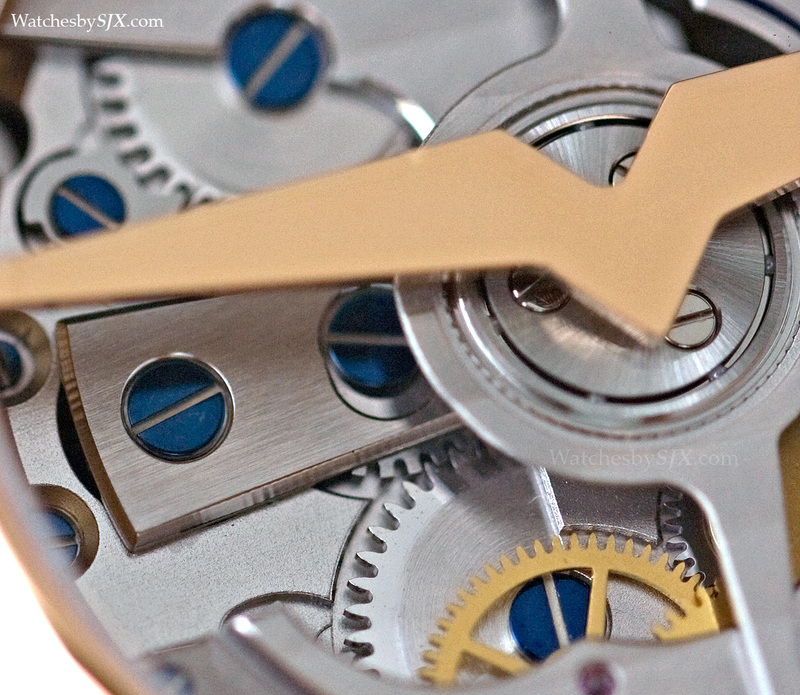 This is based on the original Vulcain Cricket movement, except it has an automatic winding mechanism. Equipped with twin barrels, one for the alarm and the other for the time, the V-20 has a 42 hour power reserve, while the alarm will buzz for 20 seconds at full wind. 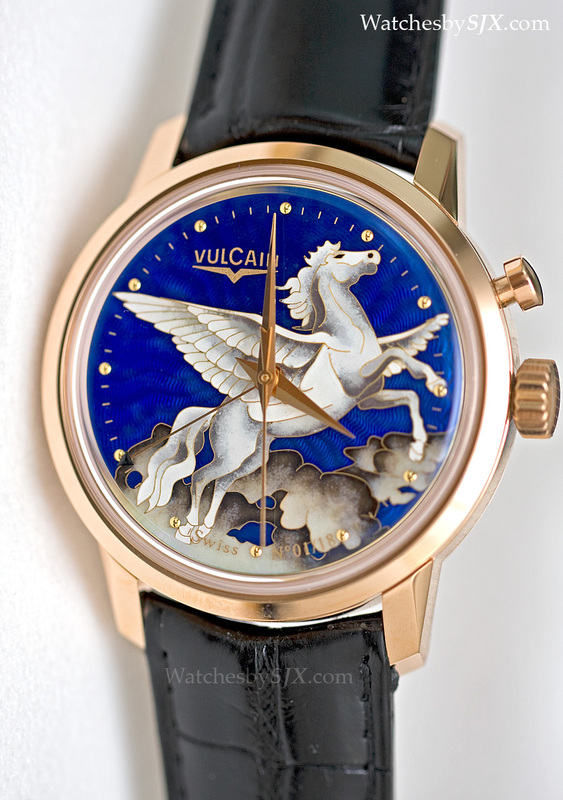 The Vulcain Cricket Pegasus is available in two variants, Pegasus in the Sky, which is pictured here, and Pegasus on the Mountain. 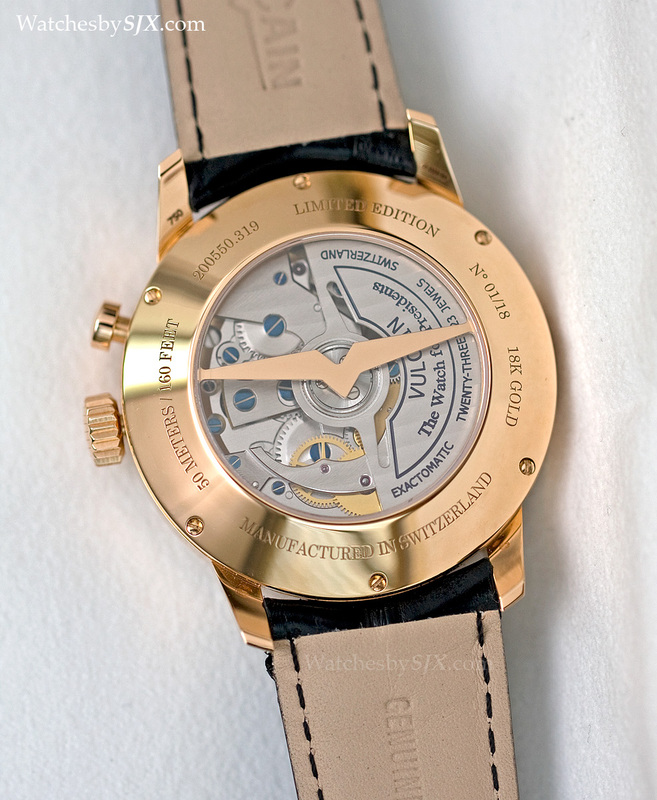 Both are limited to 18 pieces and priced at 75,500 Singapore dollars, equivalent to about US$60,400. 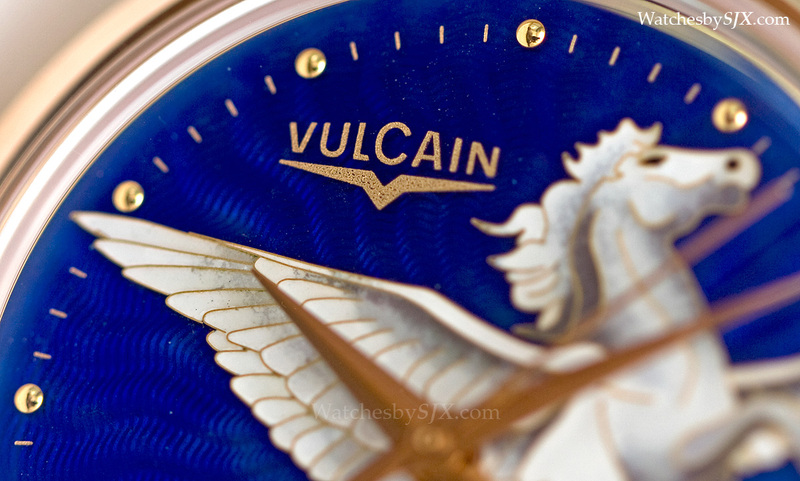 Vulcain typically has its timepieces at a much lower price point, but this is about par for a watch with a cloisonné dial made by Donzé Cadrans, or another dial maker of comparable quality.